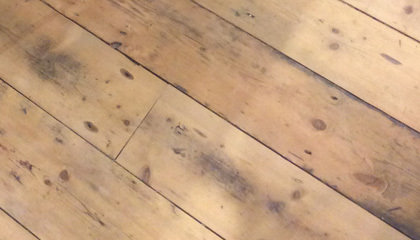 Pine floorboards were the most commonly used flooring in British domestic properties throughout the Georgian, Victorian and Edwardian building programmes. 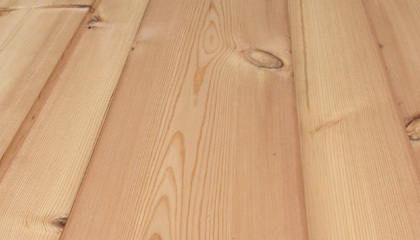 Typically a knotty Baltic pine, with a warm honey colour, supplied in random lengths and a range of widths, perfect for restoration or complete interiors. 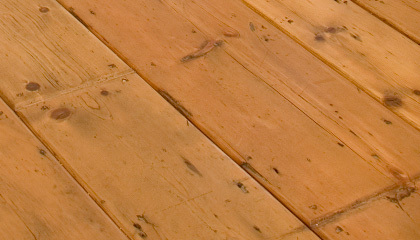 The most commonly asked for boards, available typically in old Baltic pine and a selection of widths, random lengths, normally with an old worn surface. Extremely rare and a must for that restoration project. Usually in Baltic pine. Randomly fitted Wider boards, commonly supplied in varying lengths. 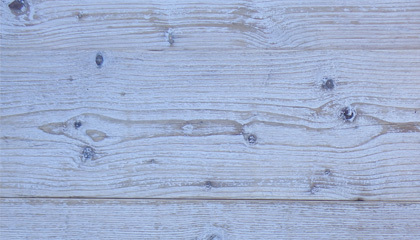 Old sun bleached and weathered boards with a brushed surface, with a driftwood look. Reclaimed from the roofs of old Victorian warehouses. More rustic that a traditional floorboard grade and generally darker in colour. 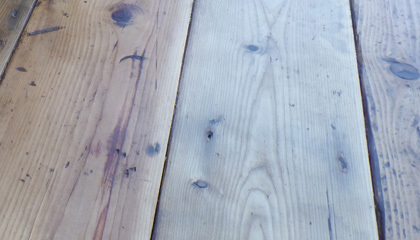 Cut and milled from reclaimed structural timbers, a good cleaner alternative to original floorboards. 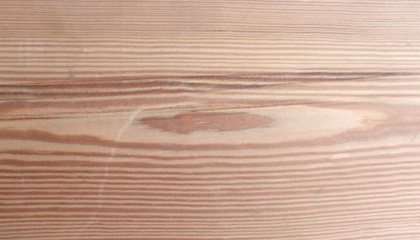 Pitch Pine is a heavier more resinous pine mainly found in structural Victorian beams. Sawn and cut into boards, square edged or tongue and groove. The most common pine used throughout the Georgian, Victorian and Edwardian periods was Baltic or yellow pine (pinus sylvestris). The earlier the period, the wider the boards and quite often random widths. The Victorians uniformed the widths although there was never a set standard size. Edwardian boards were narrower again, but uniform widths also. Georgian boards are now very scarce and can command very high prices, in fact with the lack of UK demolition since the banking crash all original floorboards are proving more difficult to locate. 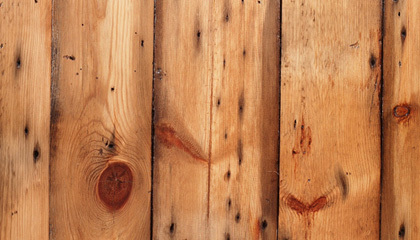 Baltic pine was the most commonly used pine, and as the name describes originated from the Baltic states. Carried in the hull of the sailing cargo ships of the time, as ballast, the timber was tipped out on the docksides and sold off for use in the building of those towns and cities. Trading routes dictated which timbers travelled from where to where. Pitch Pine or long leaved American pine (pinus palustris) came into Dublin, Manchester and Liverpool and can be found in Georgian and Victorian properties there. British Columbian, Oregon pine and Douglas Fir all arrived here in abundance during the 1920s and 30s and was used in that huge urban sprawl. If you are patching up or matching, send us some images and the dimensions of what you require and we will find a match for you.